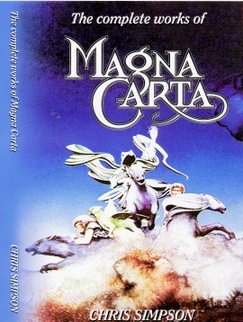 Published in 2002, this beautifully produced 320-page book by Chris Simpson tells the story of Magna Carta and their music. It includes a discography, the lyrics of all songs written by members of the band up to that time, and personal reminiscences about the production of each of the albums. This book is a must for anyone who loves the music of Magna Carta.